As sea levels continue to rise and extreme weather events become more frequent, we must insist that our roads, bridges, and other infrastructure are engineered to be more resilient in face of the increasingly severe effects of climate change. It’s no secret, America badly needs an infrastructure upgrade. In 2017, the crumbling state of America’s infrastructure earned it a grade of D+ from the American Society of Civil Engineers. But as sea levels continue to rise and extreme weather events become more frequent, we must insist that our roads, bridges, and other infrastructure are engineered to be more resilient to the increasingly severe effects of climate change. If Hurricanes Irma, Harvey, and Maria have taught us anything, it’s that such a build-first-ask-questions-later infrastructure bill isn’t just short-sighted – it’s dangerous. For decades Congress and the federal government starved local and state governments of badly needed money to finance infrastructure upgrades, effectively stalling projects before they even started. Rather than addressing the trillion-dollar elephant in the room and plugging the mile-wide funding gap, the Republican Senate instead continues to peddle the false claim that NEPA and other environmental regulations are responsible for otherwise unrelated project delays. Unfortunately, gutting environmental review will do little to improve the state of our infrastructure but will lead to more projects that unnecessarily harm our human and ecological environments. 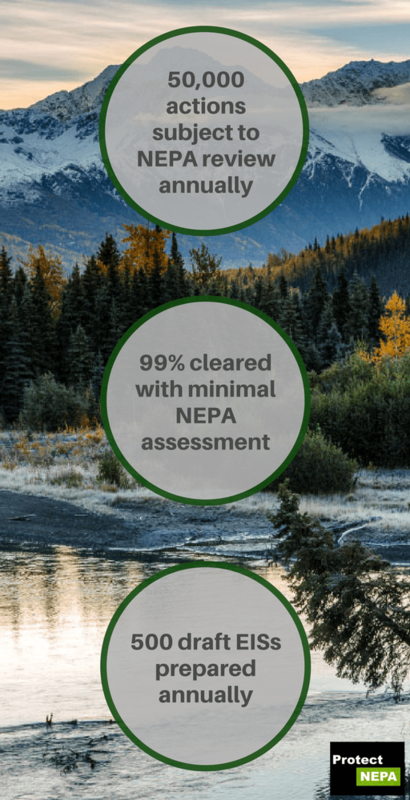 At its core, NEPA is a procedural statute that helps coordinate all environmental review and permitting requirements mandated by federal law. In the absence of NEPA, project sponsors would still have to comply with underlying environmental statutes, such as the Endangered Species Act and Clean Water Act, among others. The difference is that the process would become disjointed, as project sponsors would have to apply separately to each agency asserting jurisdiction. NEPA ensures that critical infrastructure projects are built to last with the health, safety, and benefit of local communities as the primary goal. Without NEPA, the federal government would be able to rubber stamp permits for corporations to build oil pipelines and toxic waste dumps without a single environmental review. Numerous provisions in the Endangered Species Act enabling federal and state agencies to protect people and property in emergency situations, including an exemption from formal consultation in life-threatening emergencies. By eliminating post-disaster environmental review of reconstruction projects, Congress all but assures that the next big hurricane to hit Florida or Puerto Rico will be equally catastrophic by creating perverse incentives for big developers to rebuild the same structures in the same manner, all subject to the same pre-disaster vulnerabilities. 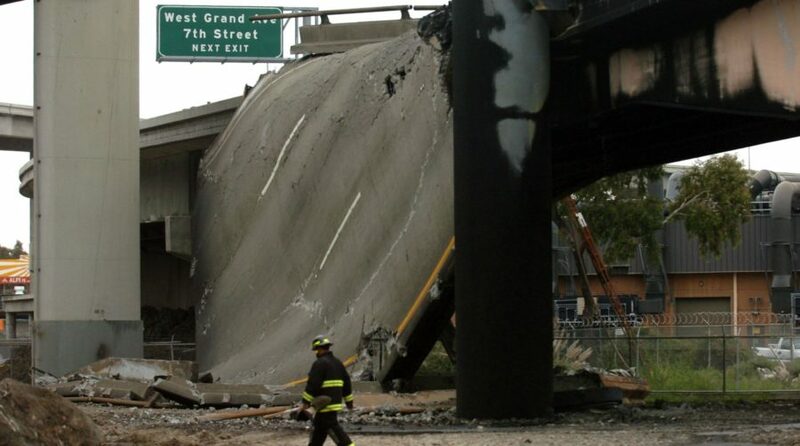 The I-580 connector in San Francisco was rebuilt in 26 days after a fiery truck crash in 2007. By the end of the first day Governor Schwarzenegger, who described the bridge collapse as the “worst damage to our transportation infrastructure since the Loma Prieta Earthquake,” had declared a “State of Emergency” and procured federal support for emergency reconstruction funds. Only 26 days after the disaster, the I-580 connector was reopened in time for Memorial Day weekend traffic. Not a single environmental review was waived. 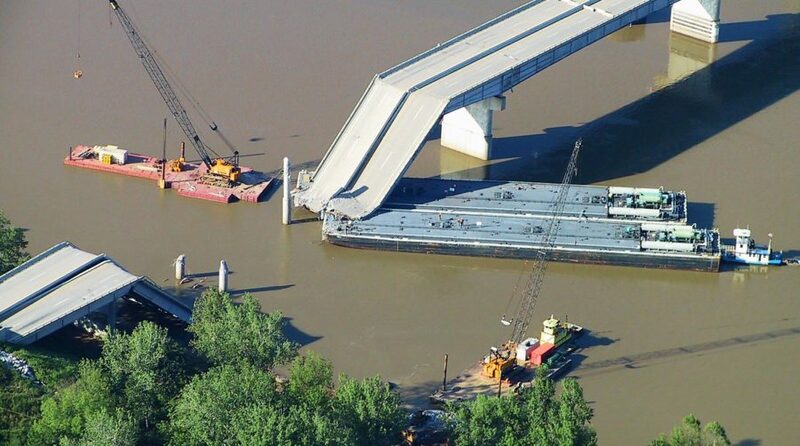 After the I-40 bridge crossing the Arkansas River in Oklahoma collapsed, the four-lane structure was rebuilt and opened to traffic just 65 days after the accident in full compliance with existing law. The review included tribal consultation as well as full consideration of discharge into wetlands, endangered and threatened species and cultural and historic resources. Because of this tiering process, over 99% of projects are cleared with minimal environmental assessment. The federal government undertakes 50,000 actions every year subject to NEPA review, but only 500 draft EISs are prepared annually. A Federal Highway Administration study found that from 1998 to 2004, no more than 3.5% percent of all proposed transportation projects required a detailed environmental study. Attempts to paint environmental protection as a binary choice between development and protection are simply wrong. The flexibility inherent in the infrastructure design process combined with the ability to engage in meaningful mitigation efforts means that growth and smart planning are not mutually exclusive. However, it is not simply enough to charge a federal agency with the dual mandate of investment and protection. For national environmental goals to have substantive meaning, there must be both review requirements as embodied by NEPA as well as numerous avenues for legal remedy when federal agencies fail to follow the law. The environmental review process is a powerful and effective tool for community empowerment that helps shape the project development process in ways that benefit society and nature. Undermining the National Environmental Policy Act and related laws through arbitration or other reforms that fundamentally weaken review will take us back in time. History demonstrates that gutting NEPA will allow project sponsors to build major facilities in the absence of a full consideration of the long-term impacts on people and ecological environments. Rather than weakening NEPA, Congress should provide additional funding for full-time technical staff at the state and federal levels to ensure timely completion of environmental review. Infrastructure is the foundation that makes everything in the U.S. economy possible. Infrastructure is also essential to our national competitiveness. When done right, infrastructure investments produce broad-based prosperity for American businesses and workers, facilitating social mobility and enabling access to opportunities, people, and ideas. With trillions of dollars of taxpayer money on the line, it’s too important to get wrong.